Blog January 20, 2017 0 Milan A. 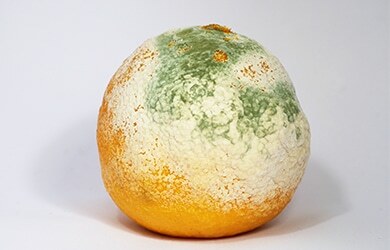 A mold is a multi cellular form of fungus which acts as a biodegrading agent. In daily life one many notice fuzzy discolored appearance of particles on fruits or bread due to long exposure to air. These particles are constantly present in the air which may prove to be an irritant if inhaled by a person. To counter this problem and provide fresh breathing air many schemes have been introduced which may or may not be effective. One of them is an Air Purifier. An average air purifier will clean up air for large rooms up to 1100 square feet. This is enough to purify air completely in about two hours. However, the filter needs to be replaced at regular intervals for best results. This is perfect for use in the living room where there are frequent visitors. People usually go for cleaning the visible evidence of mold which is just a temporary remedy. As there are still particles in the air, that promote the multiplication of mold. These particles are known as spores. The measurement unit of spores is microns which is 10000th of a centimeter. Spores are 1-20 microns, and any good quality air purifier is able to filter out particles of the size of 0.3 microns. There are several technologies used in air purifiers to completely purify the air provide fresh breathing air which are elaborated ahead. Thermodynamic Sterilization is a method that filters out mold spores and then incinerates them to shun the mold activity altogether. It takes care of 99.9% of the microbial particles present in the air. Ultraviolet germicidal irradiation uses UV light lamps where air forces the UV rays forward. Though this method is time-consuming since it takes about several minutes exposure to UV rays to eradicate the irritant particle from the air. HEPA (high-efficiency particulate air) Filter traps airborne particles by excluding them by their size. This type of air purifier usually contains a UV lamp that eradicates the spores present on the filter to prevent the growth of mold on filter hence no need of replacing the filter often. They don’t just filter out mold but other particles as well. One problem in this type of air purification technique has increased the cost of running due to air resistance in the central system. Polarization/Ionizing emits negative ions in the air. This causes the particles in the air such as mold, pollen, dust or other harmful irritants to be pushed against the walls or floor. This purifying is not as effective because the particles are still present on walls which may still cause harm. Further, they are not as effective compared to HEPA filters. The drawback of such air purifier is that they produce black wall where they are placed. Activated Carbon Purifiers are specifically efficient against VOCs (volatile organic compounds) since they work by absorbing particles. It is often the case that HEPA air purifiers have activated carbon filters in them. Last type and the most dangerous type would be Ozone Generating Air Purifiers. These types of purifiers use Ozone that is a highly reactive oxidant to kill mold. Unfortunately, the same ozone that ensures proper termination of the mold is also harmful to humans as it damages lungs. Commercial companies specifically use them for shock treatment and homes are evacuated during treatment. In conclusion, an air purifier is a must-have for those sensitive to mold particles in the air which may cause allergies. Also, for Asthmatics; those are people who suffer from respiratory conditions that pose problems while breathing. People who own pets have a never ending complain about pet dander. Most air filters provide high efficiency with less power usage which means they can be used 24/7 without worrying about the electricity bill. Further, their function is usually silent so they would not be a bother during day time as well as no disruption in sleep. Air purifiers are usually slender and blend in perfectly with the furniture, and they do not look oddly placed. This is such a great option because it has 4 in 1 HEPA air filtration system, aiding in getting rid of 99.97% of dust particles in the air. It leaves the air pure and fresh. It also has a charcoal filtration system which helps by diminishing odor from the air, leaving the room with aromatic air. It gets rid of smoke in the air as well. The air circulation system is efficient and works perfectly well.